Will you be taking the time to reflect on this last year? Will you be gleaning lessons from what went right and what went wrong? I know I will be. 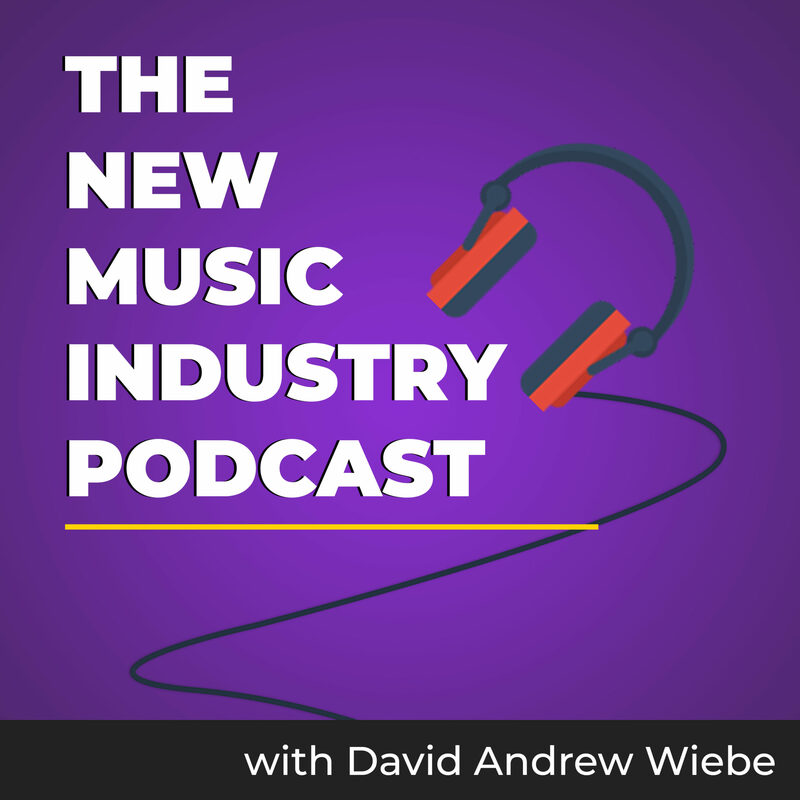 In this episode of The New Music Industry Podcast, I share invaluable lessons I learned from building my website throughout 2016, and look at how it performed overall. 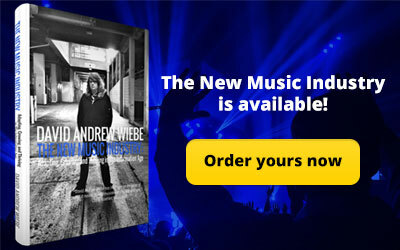 Hi, I’m David Andrew Wiebe with The Music Entrepreneur. 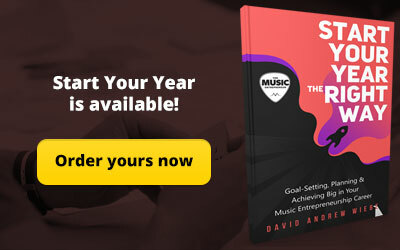 You can find my website at musicentrepreneurhq.com. Today, I decided to do something fun, and it’s a presentation I’m calling “Traffic Analysis 2016.” First, I’m going to get into some of the things that I learned from building out my website, as well as how my website performed throughout 2016. 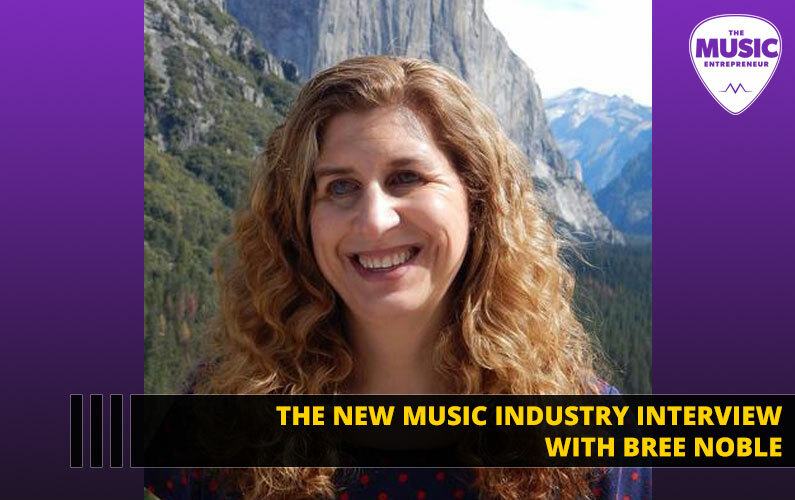 Now, 2016 was a breakout year for The Music Entrepreneur, which is quite exciting. But that isn’t to say that I have a ton of traffic. It’s entirely possible that you have a website that gets more traffic that mine does. But what is great is that it’s on a growth curve and I’m excited about that. 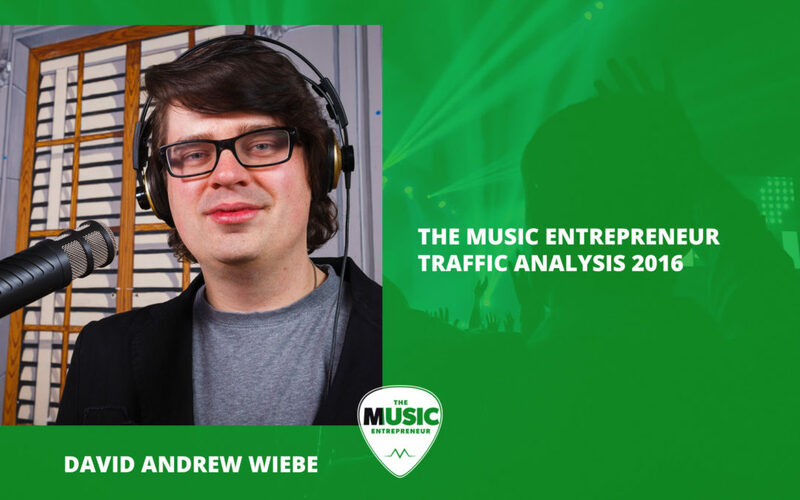 If you’re a musician watching this or listening to this, know that you might get some value out of it but probably not as much as somebody that owns a website in the music industry. And that’s because we are talking about a music industry website case study. So, anybody that runs that type of website is more likely to be able to take the lessons and apply them to their business. But that doesn’t mean that there isn’t something for everyone, so go ahead and keep watching if this is something that interests you. And if you happen to be listening to this on the podcast, know that there is also a video version with accompanying visuals and stats and things like that, so you’ll be able to get more out of it. One is that tracking of the stats began at the end of August, and I was still in the midst of moving my site to the new domain. What happened was my website used to be at dawcast.com. But marketing expert Tim Francis told me that it sounded like a steel company. 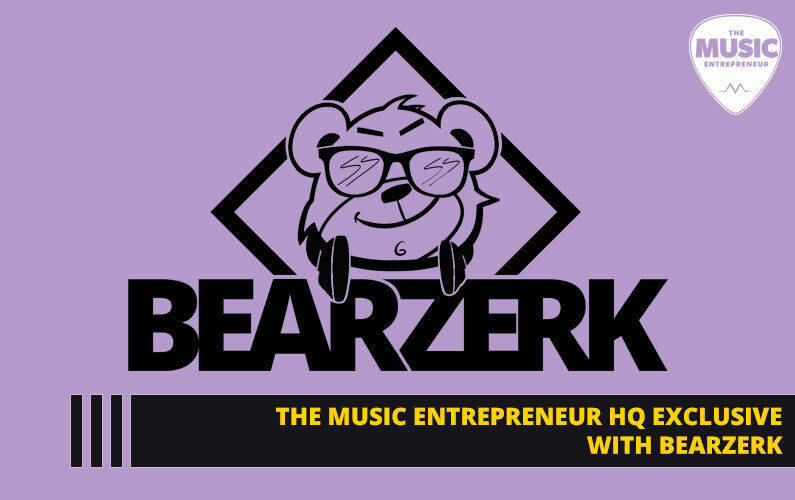 So I decided to register a new domain at musicentrepreneurhq.com. Now, for obvious reasons, it took me quite a while to move the site to the new domain. And that’s something I’m going to be talking more about. But there was some interruption in the tracking, because the stats were being tracked at dawcast.com, and then later at musicentrepreneurhq.com. So we’re not working with a full year’s sample, but I think it’s still a pretty good sample. Two, the stats are from Jetpack. So, if you use WordPress, you’re probably aware of the Jetpack plugin. It’s free, and it will track stats on your site. It’s quite handy, and it gives you a lot of in-depth stats as well. And it also does seem to be on equal footing with Google Analytics, so within a small margin of error, you’re basically getting the same stats. Now, here’s an important lesson. A third to half of the daily traffic to my site is coming from a single blog post. This is pretty amazing to me. And it’s not even a blog post you would expect. 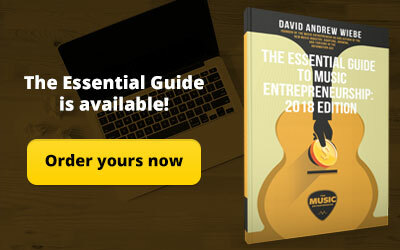 It’s not about marketing, Facebook, social media, and it’s not even about music entrepreneurship. Can you guess what it is? It’s a post called 6 Things I Learned From The Power of Your Subconscious Mind by Joseph Murphy. It’s basically a book review, and as you can see, it was published on December 4, 2015. So, it has actually taken a little while to gain traction, but it has picked up throughout 2016. 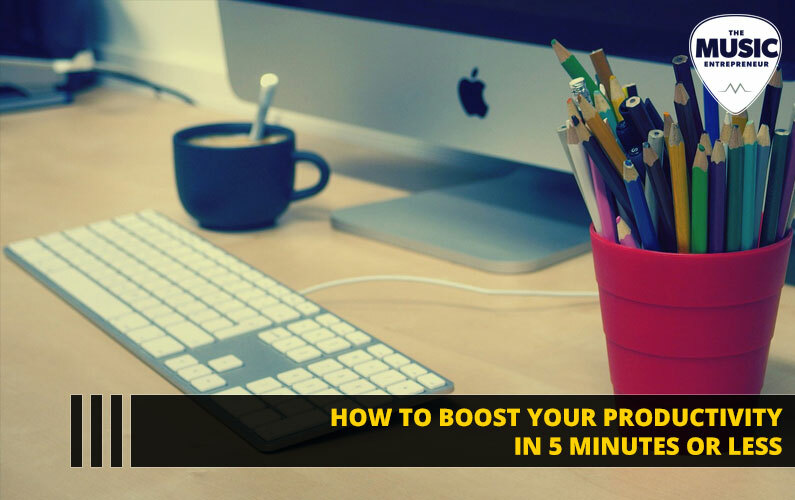 People keep clicking on it, and they keep reading it, so the dwell time on my site goes up, engagement goes up, and that will also boost your search engine rankings, which is exactly what happened with this particular post. Let’s take a look at some of the other top posts and pages. You can see here – it’s not a full list but it’s quite a few of my top posts and pages on my website – the 6 Things I Learned From The Power of Your Subconscious Mind by Joseph Murphy post has 8,334 views since August. I don’t have anything else that’s even close to that in terms of traffic, which is pretty amazing. The number two post is another one that’s had quite a bit of traction, and it’s called Top 10 Social Media Sites For Musicians to Focus on [INFOGRPHIC]. It’s an infographic in addition to being a post, and it’s gotten 903 views. You can review this list for yourself and see what else is getting some traction. Obviously, my homepage – which my top three and four results – a lot of people are checking out the homepage and archives as well. And one of the things that I learned from this is that you need to focus on your top 10 posts and pages. Why is that? Well, they’re getting the most traffic, and if you want to get email opt-ins, then these are the posts that you’d want to put compelling offers on so you’re converting more people. If you want to build your email list, you should focus on your most visited pages. I wanted to talk a little bit about Leadpages, because I’ve actually known about them for quite a while, it’s just that I hesitated to purchase the product because it costs money. 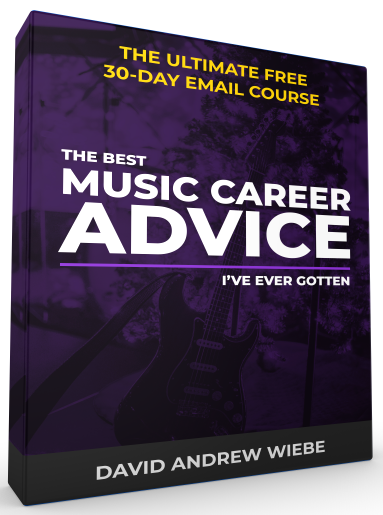 But I’m thankful that I did, because it’s the best tool I’ve found for building my email list. And I just use Leadboxes. I don’t really use landing pages or anything else. Not that I won’t in the future, but it’s just not a major focus and doesn’t even need to be. And I’m not even that aggressive right now with building my email list the way that I am. I’m just giving away PDF downloads of the blog posts and transcriptions and various other things that I have. So, I could be more aggressive, but as you know, with traffic it’s about quality, not just quantity. It’s the same thing with email subscribers. You want quality people that are going to stick around over the long haul. And honestly I tried a lot of other things that didn’t work. I have a MailChimp account, and that’s still how I manage and build my email list. But I don’t use whatever forms they give you to build my email list anymore, so that should tell you something. And even though I’m kind of promoting Leadpages right now, I’m not even an affiliate. I probably should sign up as one, so I could start earning commissions, but this is completely free promotion for Leadpages, so that tells you how great of a product it is. 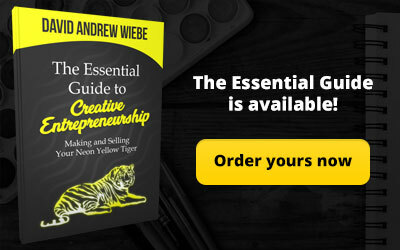 And if you’re not using it to build your email list and you’re frustrated and you don’t know how else to build it, I would suggest having a look at Leadpages. Maybe check out some other reviews or what other people have had to say about it and see if it’s the right thing for you. Let’s talk about clicks. This basically describes where people are clicking most on my website and analyzing this is a really good thing, because if you’re trying to drive traffic to your “about” page for example, then you want to know that people are actually clicking on it and finding it through your blog posts or wherever else you are directing people to your “about” page. So here are some of the results. You can see that the number one place that’s been clicked is Leadpages, which means opt-ins. I’ve grown my email list from a humble 200 subscribers to nearly 500 here close to the end of the year. I probably will have 500 subscribers at the end of the year, so again, that’s a testament to the power of what Leadpages can do for you. The second result is links within the site, which is always good to see, you want people to stay on your site, check out more pages while they’re there, keep them on your site for longer. That way you have a better chance of converting them in whatever way you want. Number three is Gumroad, which is where all my products live. And that’s also a really good thing, but there is only a total of 34 clicks. So even though it is my number three, as far as number of clicks is concerned, it’s still low. So my goal will be to boost that moving forward and to increase that number so I’m getting more clicks on products and more interest in them. And you can see some of the other places people are clicking, such as Amazon, in which case they’re having a look at my book potentially, or they’re being forwarded over to an affiliate product. I want to talk about my domain name, like I mentioned earlier. It used to be dawcast.com, and now everything has been moved over to musicentrepreneurhq.com. I still have some work to do in terms of getting some of the images up. When I moved the site over, even though the image folder carried over, some of the images within the blog posts didn’t, so there’s quite a bit of work for me to do still. You have to update your links – that can actually be done pretty simply with a plugin called Search Regex, so I wouldn’t even worry about that. That’s pretty easy. But changing my domain overall has led to more links from outside sources, more coverage from people who are interested in what I’m doing and want to hear about my opinions and thoughts on the music industry. It’s resulted in more traffic… again, it’s been a gradual increase – it has taken time to build up to this point, but it keeps on going up. And it’s also got me more recognition, so it’s been a good thing for my brand. Now, this is an important lesson, because if you have a domain that isn’t that great, or if you’re not happy with it, or if people just don’t seem to be resonating with it in the way you intended, and you’re thinking about re-branding and moving your site over to a new domain, I would encourage you to do so. But just know that it is a lot of work, and I’m far from done all the work that I need to do to optimize all the posts and pages on my website. I have so much work to do, but a website is a living, breathing thing, and you’re never really done with it. Let’s talk about the part that everybody has been waiting for, which is traffic sources. This is simply where my traffic is coming from. Now here are some of the stats. You can see that search engine traffic is number one, and that’s not surprising because most of the traffic to the post I mentioned earlier on the power of your subconscious mind is coming from search engines. Now, I have been working hard to diversify my traffic, and I think you can see even from this list that I have been successful in doing so, but far and away my top traffic source is search engines. That should never be a problem as long as Google doesn’t de-rank me, and I don’t think there’s any reason why they should – it’s not like I’m using blackhat SEO tactics or anything like that – but preferably you want sources that could compensate for that difference should that traffic go away. You can see that my top social media sites are Facebook, Twitter, and StumbleUpon. People ask me a lot about social media, and you can see that I’ve had traffic from Instagram and stuff like that from that list, but it isn’t a lot. And I often say my top traffic sources for any website in any niche I’ve built so far from social media, has been Facebook and Twitter. Others haven’t really worked well for me. And I know they work great for a lot of other people, and I continue to experiment with everything – Google+, Pinterest, LinkedIn – all that kind of stuff. And that gets me a bit of traffic, but by far, Facebook and Twitter are my top social media traffic sources. So, I would encourage you to maintain your focus as well, because if you diversify too much, you might get one, two, or three visits from other sources, but you’re not going to get a lot. And unless your audience is very specialized and niche, there’s really no point in going elsewhere. Experiment, figure it out for yourself, I’m not going to tell you what to do. And you can also see that some of the traffic has found its way over from the old domain at dawcast.com, which shouldn’t come as surprised. Obviously I have it as a domain forward, so that’s why. I can see that Musicgoat is one of my top 10 referrers as well. Thanks so much Corey, thanks for your support. He also did a testimonial or an advance praise quote for my book, so I’m really grateful. Thanks for sending that traffic over. That’s all I have for Traffic Analysis 2016. 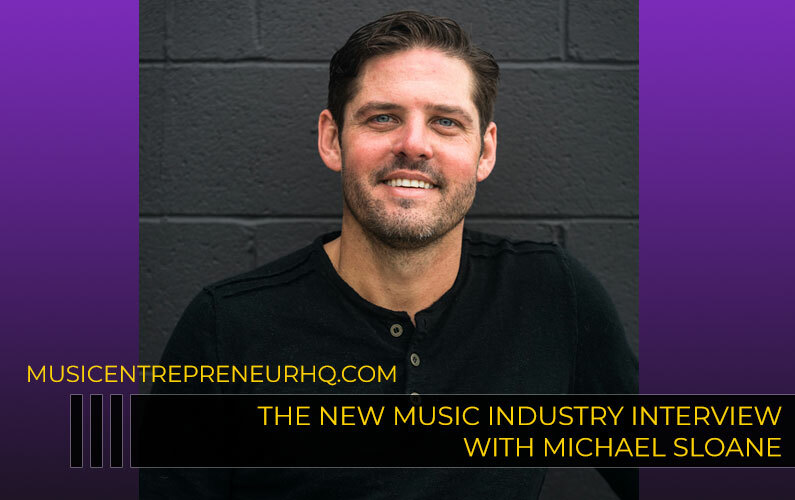 Thanks so much for joining me, and if you enjoyed this video, you can find more at musicentrepreneurhq.com.